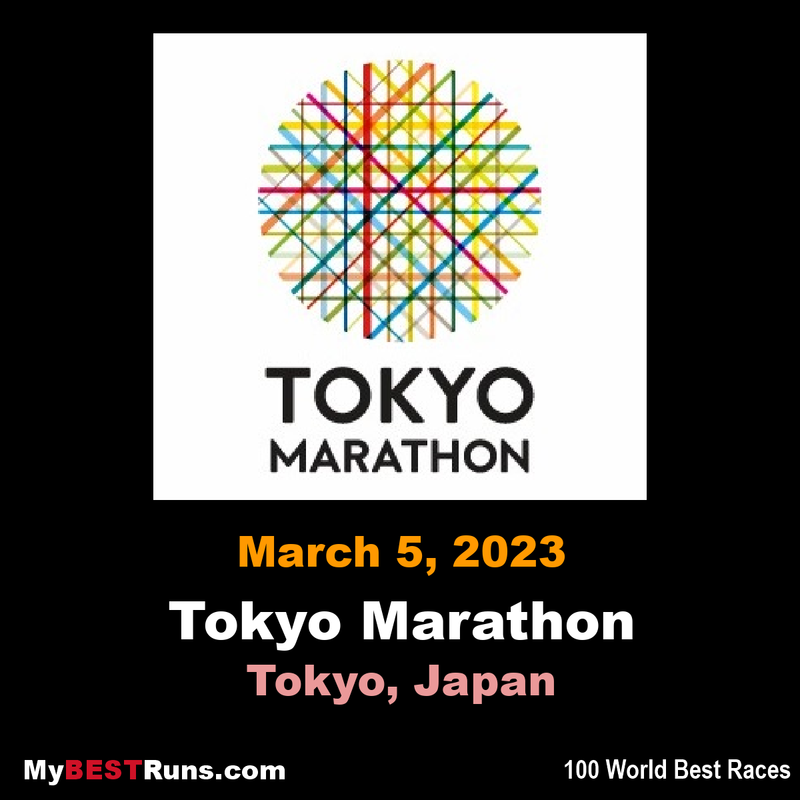 The Tokyo Marathon is an annual marathon sporting event in Tokyo, the capital of Japan. It is an IAAF Gold Label marathon and one of the six World Marathon Majors. 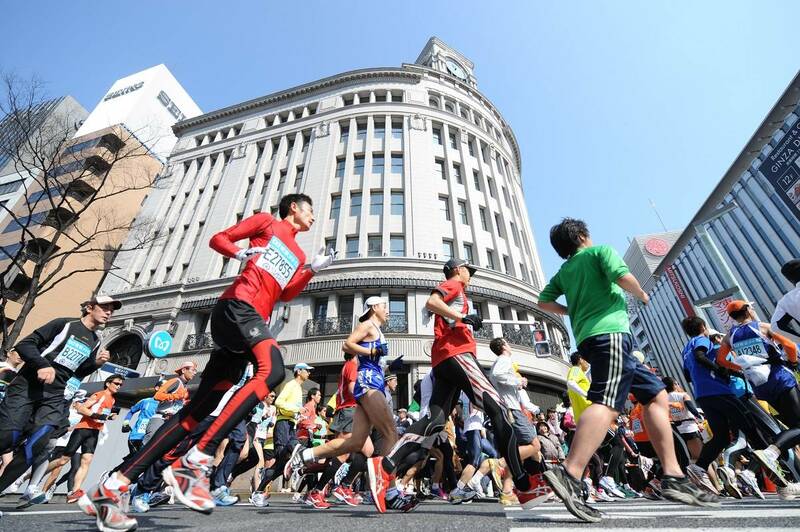 Sponsored by Tokyo Metro, the Tokyo Marathon is an annual event in Tokyo, the capital of Japan. 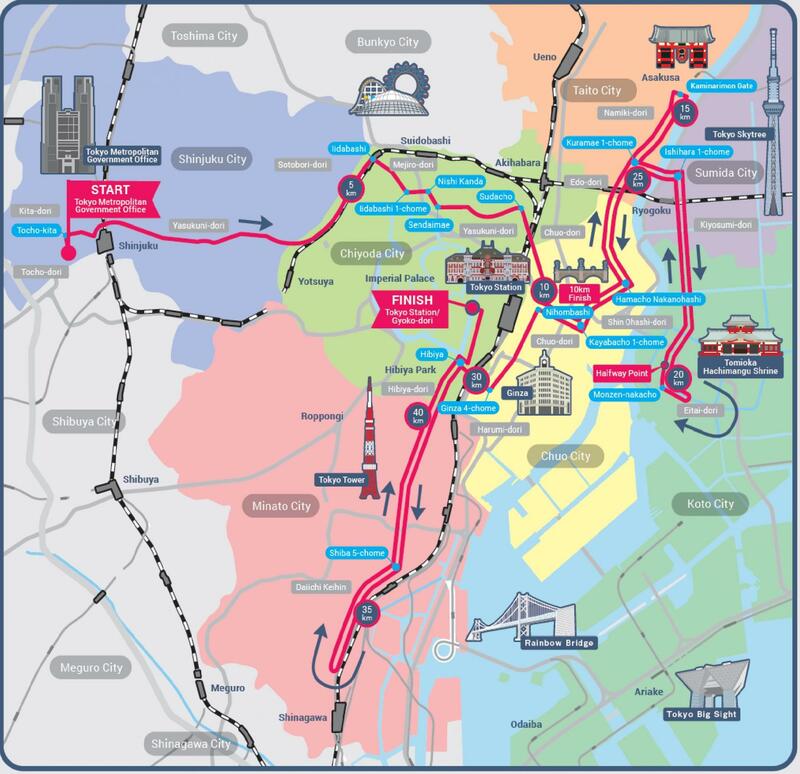 It is an IAAF Gold Label marathon and one of the six World Marathon Majors. How popular is this race? 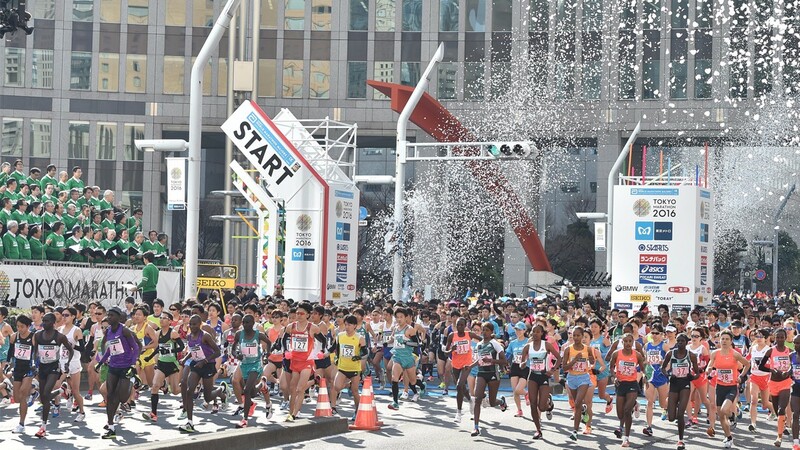 When registrations closed for the 2015 Tokyo Marathon, 308,810 people had applied to enter the race. That was 11.3 times more than the race could accept! A big part of the prize money was the bonus that Yuta Shitara won at the 2018 race. Once the 2019 prize package is announced we will update this. (2019) Birhanu Legese (marathon world rank: 55) and Ruti Aga (marathon world rank: 10) claimed the top spots at the Tokyo Marathon on Sunday (3), landing just the second Ethiopian double in the 13-year history of the IAAF Gold Label road race.Legese’s mark of 2:04:48 was the second-fastest winning time in the Japanese capital, while Aga’s 2:20:40 was the third-fastest clocking in the women’s race. Both athletes achieved the first marathon victories of their careers and did so with their second-fastest times to date. The pace makers in the men’s race set off at an ambitious pace, covering five kilometres in 14:37, 10 kilometres in 29:09 and 15 kilometres in 43:56. But in the constant cold rain, that pace proved difficult to maintain. The lead pack of 10 runners including Legese, Bedan Karoki (marathon world rank: 65), Dickson Chumba (marathon world rank: 13), Seifu Tura (marathon world rank: 26), Simon Kariuki, Yuki Sato, Shogo Nakamura (marathon world rank: 99) and Suguru Osako (marathon world rank: 22) passed the half way point in 1:02:01, faster than the pre-planned pace. Japan’s Nakamura and Sato, who were aiming for a 2:06:30 finish, would later pay for their mistake. The race of attrition started in the second half. Osako, Nakamura, Tura, Kariuki and Sato were dropped from the lead pack in succession, leaving Karoki, Chumba, Legese and the pace makers in front. Nearing 29 kilometres, national record-holder Osako was reduced to a walk and he soon dropped out. One kilometre later, defending champion Chumba started to drift back, leaving Legese and Karoki to duel it out for the top spot. With the pace makers dropping out of the race at 30 kilometres, the real racing between the pair started. Karoki looked good for a while, but he was unable to stick with Legese and the Ethiopian started to pull away before the 35-kilometre point. Legese went on to win in 2:04:48, just 33 seconds shy of the PB he set on his debut at the distance in Dubai last year. Karoki struggled in the closing stages, but was rewarded with a PB of 2:06:48. Two-time winner Chumba was third in 2:08:44, his slowest time in Tokyo, but he at least maintained his streak of top-three finishes in the Japanese capital. Kensuke Horio, Masato Imai, Takuya Fujikawa and Daichi Kamino all came from behind to qualify for the Marathon Grand Championships, the Japanese Olympic team trials for the marathon. Osako, Nakamura and Sato, who all went out with the leaders, hit the marathon wall hard. Osako dropped out while Nakamura and Sato finished down in 15th and 16th respectively. The women’s race also went out fast, covering five kilometres in 16:34, 10 kilometres in 33:04, and 15 kilometres in 49:25. Seven runners – Ababel Yeshaneh, Ruti Aga, Florence Kiplagat, Helen Tola (marathon world rank: 42), Shure Demisse (marathon world rank: 28), Yebrgual Melese (marathon world rank: 8) and Bedatu Hirpa (marathon world rank: 33) – passed the half-way point in 1:09:44, putting them on pace to break the course record. Melese was dropped before 25 kilometres, leaving six women in the lead pack. Aga started to pull away after 35 kilometres and went on to win in 2:20:40, little more than two minutes shy of the 2:18:34 PB she set in Berlin last year. Compatriot Tola finished just 21 seconds adrift in a lifetime best of 2:21:01, her fourth consecutive PB. Demisse was four seconds behind in third in 2:21:05, just six seconds shy of her 2:20:59 PB, recorded on her debut. It was the first Ethiopian women’s 1-2-3 in the history of the Tokyo Marathon. Kiplagat was fourth in 2:21:50, her fastest time since the 2016 Chicago Marathon. Hirpa was fifth in 2:23:43 and Yeshaneh was sixth in 2:24:02. World and Asian Games champion Rose Chelimo was ninth in 2:30:35. Mao Ichiyama had the ambitious goal of clocking the fastest marathon debut by a Japanese woman. She ran aggressively and passed the half-way point in 1:10:29, but started to slow after 25 kilometres. She finished outside her target time but still clocked a respectable 2:24:33 to place seventh and the top Japanese finisher. Joan Chelimo Melly, the fourth-fastest half marathon runner in history, was also making her marathon debut. By 10 kilometres, the Kenyan had already lost contact with the lead pack and eventually finished eighth in 2:26:24.